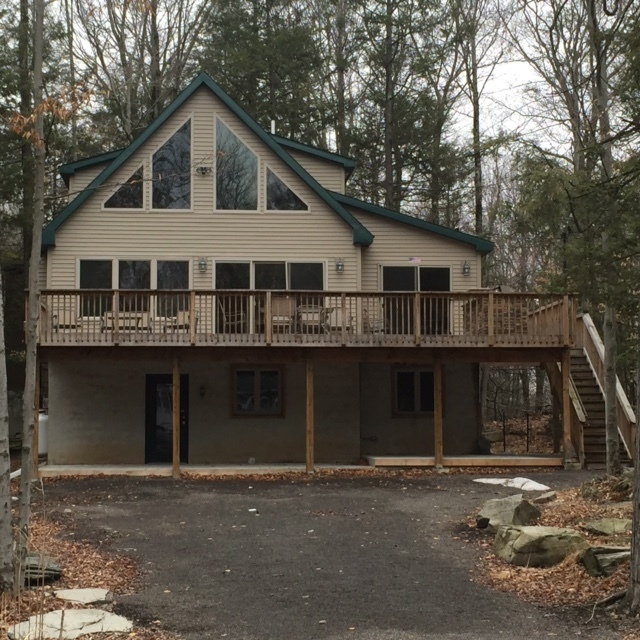 If you've booked your vacation at our rustic Wallenpaupack Drive Chalet, please read this FAQ to learn more. Please note, our staff compiled a comprehensive list of all appliances, items, etc. in the property; if it's not listed in the Answers, the house does not have it. Check out the printable version of this list by clicking here! A: Yes, it has a wall unit and three window units. A: This community has a Central garbage drop-off location. You will receive more information in your welcome packet. A: Yes, if you rent a home within a community you have access to its amenities. A: Yes, you can launch a boat at the community launch but there is no overnight mooring provided. You can bring your boat back to the house each day and keep in the drive. A: 7 beds: 1 king, 1 queen, 1 fulls, 4 twins. A: 2 full and 2 half baths: 1 shower and 1 shower tub. A: 4: 2 older tube TVs, 3 flatscreens (1 27”, 1 38”). A: We want your vacation at our rental properties to be as comfortable and fun as possible. We provide a lot of options for entertainment such as a DVD Player, a Stereo, a BluRay Player, Cable, WiFi, and HDMI Ports. A: This property also has a Washing Machine, Dryer, an Iron/ Ironing Board, and a Vacuum Cleaner. A: 8: 6 at the table and 2 barstools. There is outdoor seating for 6-8. A: 5 plus 6 at the dining room table. There is a sectional in the family room downstairs that will sit 6 and a game table that sits 4. A: Yes, there is a gas fireplace. A: There are no water toys but there are 2 adult and 4 yout life jackets.